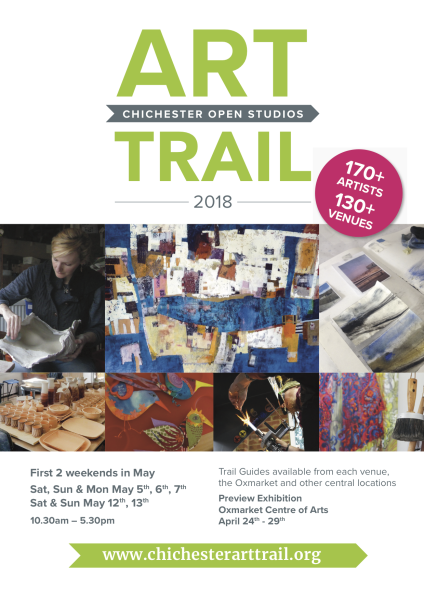 Well, the first weekend of the Chichester Art Trail has arrived and we are in day 2. The sun is shining and the birds are singing so it particularly glorious here at the moment. Yesterday was great. We had several lovely visitors. I really enjoy chatting to everyone, so thank you for coming along. We are here this weekend including Bank Holiday Monday and then next weekend, so do come along for a cup of tea and home made biscuit.